I wrote nothing for so long and today I’m going to fix things up. In new version you will find progress of copying (at last :)!). And a lot big and small improvements. Actually some feature was released some time ago (a couple releases back). But I haven’t wrote about it, and I think now is the best time for it. First of all take look at new config window. As you see, you could enable Progress of copying checkbox to use new way of copying. When this option enabled you can see progress when copy files. Spero makes possible such things. It joins module for copying with ability to handle progress copymitter and socket.io to interchange data with frontend part of Cloud Commander. 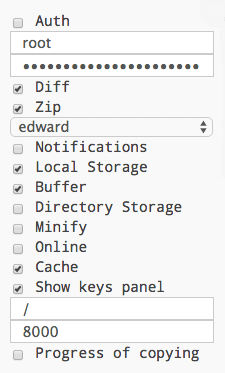 You can choose editor you want: Edward (based on Ace) or Dword (based on CodeMirror). 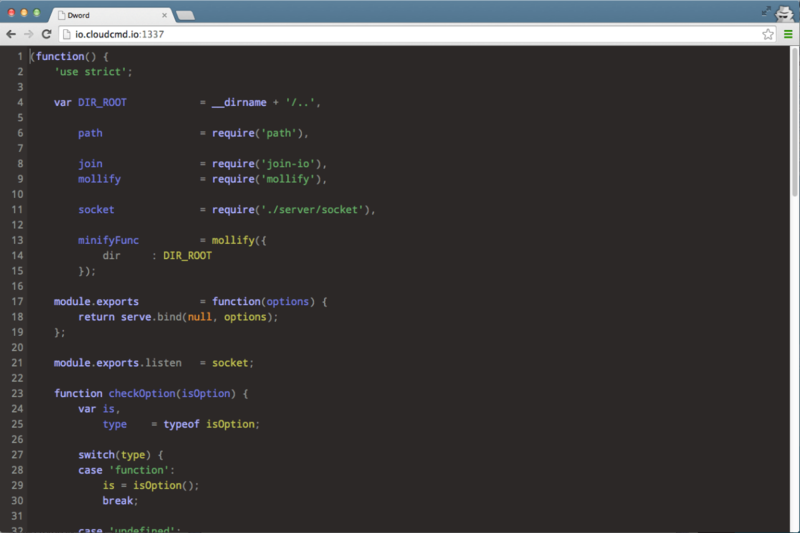 This two modules makes different API of editors work in the same way. Now they can compete with each other on fair. And you have to chose from. You could set (and dinamically change) root of File System Cloud Commander work with. This feature supports Unix and Windows as well. So if you prefer directory different from root (your home directory for example). You could set it. --editor        set editor: "dword" or "edward"
You could define all options, set flag --save and just use Cloud Commander with predefined options. 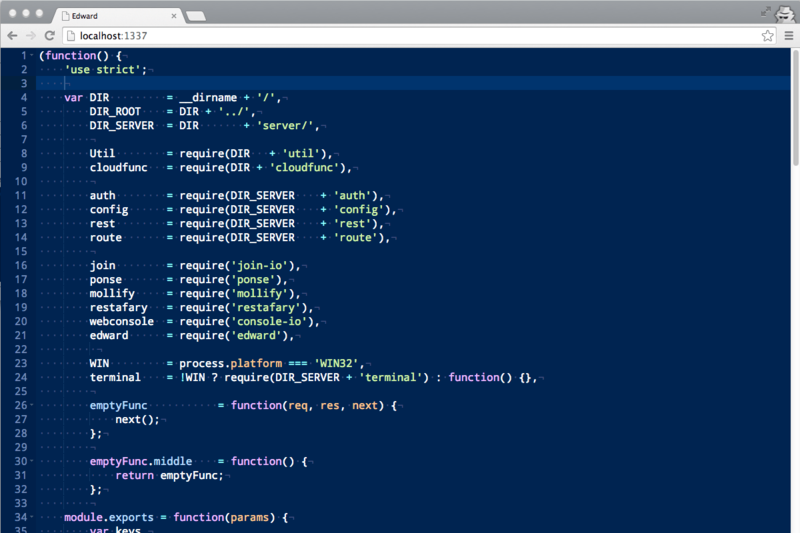 All of them will be saved in ~/.cloudcmd.json file. Tip: do not set password by manually editing config file it will not work if you will not crypt it first. runny --command "wisdom patch" --directories "~/cloudocmd,/~cloudcmd-io,~/ru,~/ru-io,~/ua,~/ua-io,~/archive"
This is all for today. You can always send me pull requests, make issues, ask questions, send mail etc.